Our round up of inspiration and news for the month ahead. If you were lucky enough to see the NGV’s recent Escher x Nendo exhibition at the National Gallery of Victoria (NGV) with its immersive, walk-through installations you’ll understand the scale and sheer magic of the gallery’s blockbuster shows. So it’s with great excitement that we await the opening of the NGV’s next showstopper on Alexander Calder, the American artist credited as the inventor of the mobile. A contemporary of Picasso and Duchamp, Calder lived in Paris during the 1920s crafting kinetic, abstract sculptures that — partly due to their ability to move with the breeze, and therefore create a uniquely individual experience for every viewer — still capture the imagination today. Consisting of over 100 sculptures and images and produced with the aid of the fabulous, New York-based Calder Foundation, the NGV exhibition will be the largest showcase of Calder in Australia. Not to be missed. Alexander Calder: Radical Inventor at the NGV, Melbourne, 5 April — 4 August 2019. 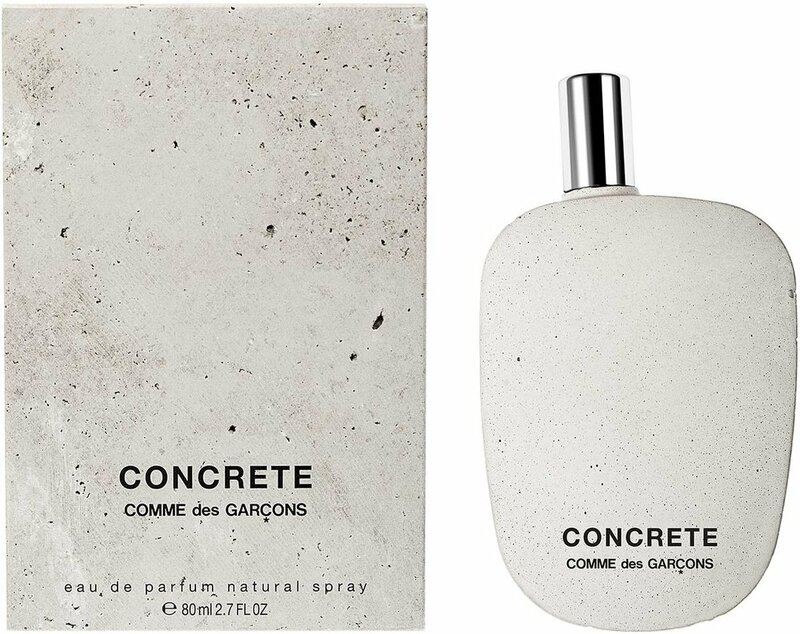 From kitchen counters to furniture, flooring and even perfume (thankyou Comme des Garcons), concrete is having a moment. The raw industrial look of concrete can tend towards the colder brutalism of years gone by but the new way to reinvent the aesthetic, especially when it comes to interiors, is to play with a variety of textures, add warmth with natural timbers and experiment by mixing smooth surfaces with patinated metallics and rich, tactile textiles. One of Australian beauty brand Aesop’s latest stores in Melbourne’s Chadstone is a case in point, combing the earthy rawness of basalt with polished concrete. And one of our own projects, for our newest client Cali Press, will also be showcasing its sleek, solid appeal. Watch this space for the great reveal. 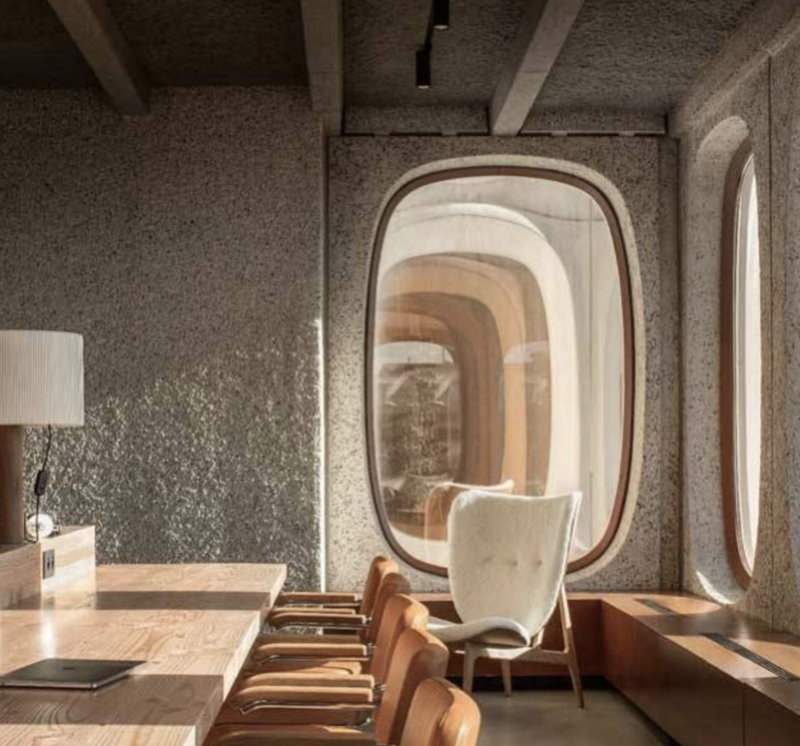 Quite possibly one of the the most rock’n’roll interior designers around right now, LA-based Kelly Wearstler has dived into the elegance of early 20th century European salons as the inspiration for one of her newest projects, San Francisco’s Proper Hotel. 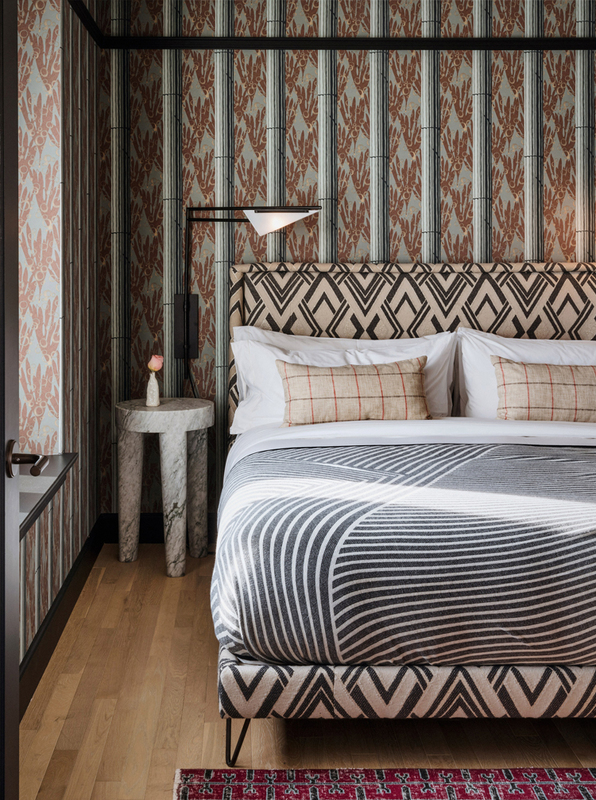 Mixing 1940s Cubist design with the Beaux Arts-style of the original building Wearstler has created her signature bold, maximalist interiors combining marble tables, striped lounges and textured wallpapers for the 131-room boutique hotel. We particularly love Wearstler’s way of conceptualizing an interior in its early stages by crafting a unique narrative. ““You’re in this woman’s home and it’s like a series of living rooms,” Wearstler told Vogue Living. “This woman lives there with a black cat called Charmaine, who hangs out on the rooftop, and you’re just waiting in her salon for her.” Mystery and magic — just all part of the Wearstler charm.